The Year view is a powerful way to get a big-picture perspective on your schedule, goals, and projects. Not only can you see your whole year at a glance, you can also specify multi-month periods, from one to twelve months at a time. 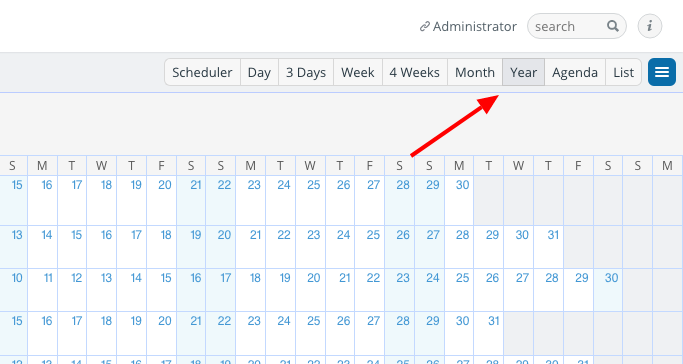 Teamup users say that the multi-month or year view is a feature many other calendars don’t offer. View your schedule by season, business quarter, academic semester, or any other multi-month period. Want to plan the last six months of the year? Or the first three months of the school semester? You can do that. 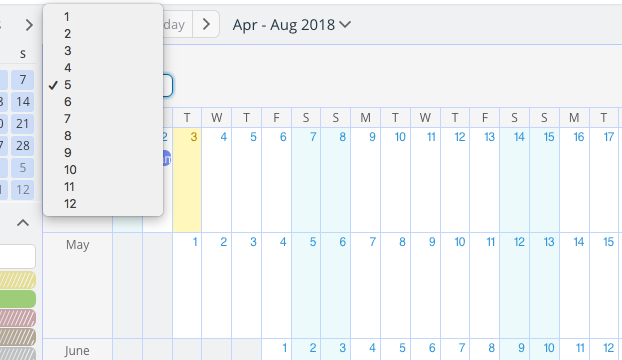 To see your calendar in the year view, simply click on Year in the calendar view options in the top bar. The Year view is in the top right of the calendar. Then choose the number of months you wish to view from the drop-down menu. Use the arrows or calendar drop-down menu to shift to different months. Here are a few ways that the year view could help you with perspective and planning. The year view can help you avoid overloading your team with too many projects. In particular, you want to avoid scheduling the beginning or ending of major projects around the same time. Beginning a project, especially if it’s client-facing, often involves multiple meetings and discussions. Ending a major project is often a stressful, work-heavy time as everyone tries to wrap up tasks on time. 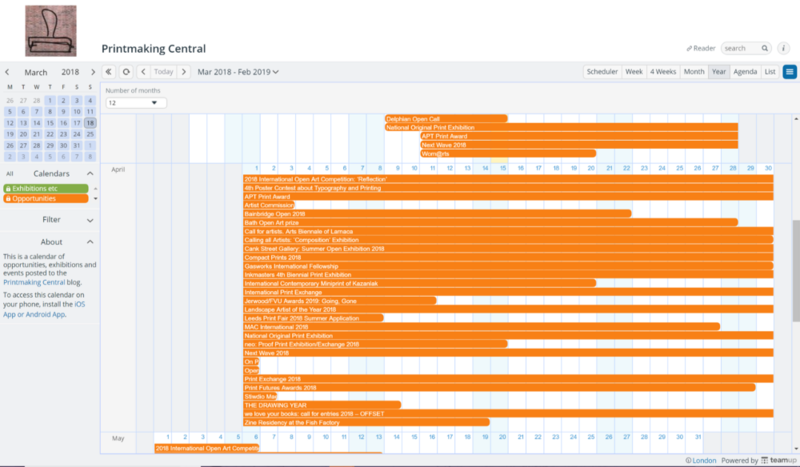 Using the multi-month or year view, you can see when major projects are running, how long you expect them to take, and when you might need to adjust timelines to keep your team from going crazy. See more on managing a team with multiple projects. You can use a group calendar to collect and share events, exhibitions, contests, and other opportunities for a particular interest or group. For example, Printmaking Central collects and shares exhibitions and other items of interest to the printmaking community. They host these on a Teamup calendar, and make the year view accessible to anyone interested. Printmaking Central uses the year view to show exhibitions and contests from month to month. You can see the live version here. The year view makes it easy to scan each month and quickly see the start and end dates of various opportunities. Do you have a calendar for your community or special-interest group? Use the year view to find the down times. You can scan months at a time to see when there are weeks in a row with no events planned. Now you know when you have open times to set up a special event. You can also use the multi-month view to get an overview of events for each quarter or seasonal time. See more about managing community events. 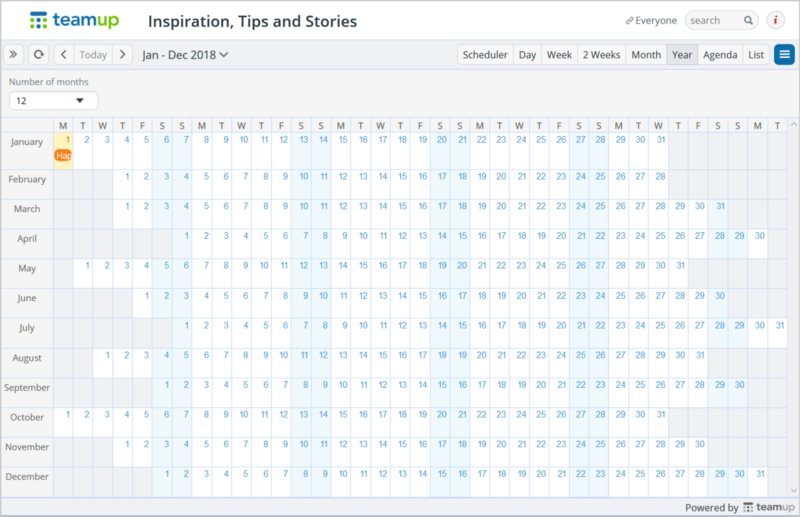 With the year view, you can see the patterns in your schedule. This can be a real eye-opener. For example, if you use a calendar to track your habits, you might notice that you are less consistent toward the end of the month, or on the weekends, or when your work calendar gets very busy. Seeing those tendencies can help you prepare for how you might handle them better in the future. You can also get a big-picture perspective on your progress in being consistent with a habit or completing a project. It’s fun to see your own track record stretched over months at a time. See more on using a calendar to build habits. Use the year or multi-month view to do your long-term planning for career, travel, goals, family, and personal interests. You can see what’s coming from month-to-month in a single area, while also keeping other major events in mind. Map out a schedule for tackling big projects over the course of multiple months or a year. A big part of achieving goals is being able to spend appropriate time and energy on them. With the year view, you can plan those times in advance to avoid conflict with other important areas of your life. 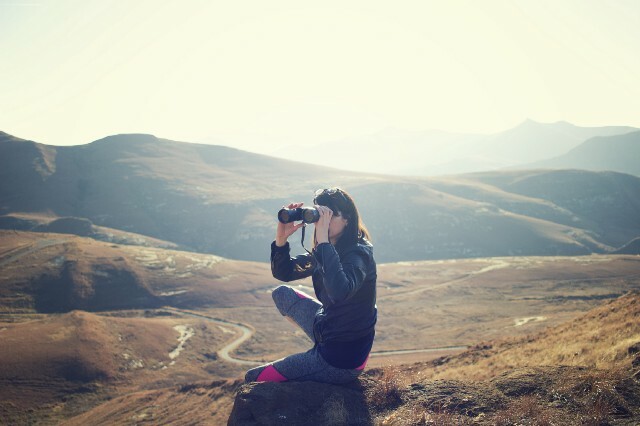 There’s nothing like getting a wide perspective on your whole year — at a glance. Ready to try out the year view? Try out a live demo calendar. How could you make use of the multi-month or year view? If there’s an area or project that could benefit from long-term planning, try it out and see how simple it can be. Header photo by Pawel Janiak on Unsplash.